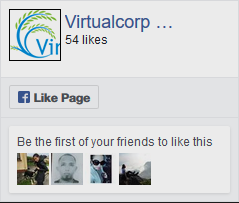 VirtualCorp Virtual office Global offers all the comforts and stability of a fixed office without the hassle and additional costs. It is a service that is offered through managed offices which allow clients to use a prestigious office address together with a professional reception service, without having to rent an entire office. We will provide you with an address that will impress your existing and potential clients. Most provides hide their fees in their setup charges. We have a 0-Setup Fee policy! We will notify you via email and SMS for events taking place at your office! We offer subscription plans from 6 months to 3 years at very low fees. Need a website? We will hosting it for you free of charge. Risk Free 7 days Money Back Guarantee. Need to organize a meeting? We can provide you with a fully serviced office! Pay for what you use ONLY! fully serviced Virtual Offices at prestigious locations that will allow your business to grow, while keeping costs minimal.